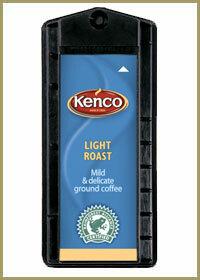 The Kenco Singles Light Roast capsule is less popular drink than the Kenco Medium Roast but still part of what we would refer to as our core range of Singles drinks. As the name would suggest it is lightly roasted and appeals to those looking for a good quality, but light, filter coffee that can be consumed all day. It is important to be able to offer a range of different coffees in order to give as many different people what they want from the system and the Light Roast capsule is part of this solution. As with all of the coffees in this range it is a genuine roast and ground offering rather than a granule or powder. Unlike other filter systems the sealed capsule means that the ground coffee stays fresh until it is inserted into the Kenco Singles brewer and the drink is produced. 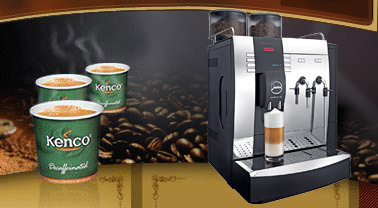 Kenco Local Business Service are the most competitive supplier of Kenco Singles drinks capsules and machines across London, Buckinghamshire, Berkshire and Hertfordshire. Our warehouse just outside of Hemel Hempstead allows us to offer a top class service in towns such as Berkhamsted, Aylesbury, Watford, Welwyn Garden City, St Albans and Basingstoke. We stock the entire capsule range and have drivers visiting all parts of the area on a regular basis, which enables us to offer a first class and speedy service. 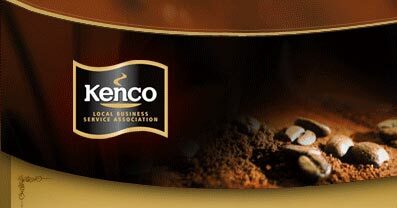 If you are buying Kenco Light Roast, or indeed any of these products, elsewhere please contact us as we can almost certainly offer you a more competitive deal. We can also supply the Kenco Singles and our fully trained in-house technical team can provide all of the service back up that you may require. If you are looking to order a Kenco Singles machine but are on a budget then why not look at one of our refurbished models. They come with the same warranty and functionality of a new brewer but at a much lower cost.